This course is a primer in visual design basics and will focus on grids. It has quick exercises, examples from our environment and nuggets of design theory. We will briefly look at concept of space, formats and how elements come together in a space to form arrangements. We will discuss in detail and work with grid as a visual design tool for dividing space, to create arrangements. An overview of basic graphic design assignments. Check Link: Design Course on Designed Coursework in Visual Communication. Discusses the concept of hierarchy between elements in a given space, and what happens when they gradually increase but the space remains same. Check Link: Design Course on Visual Order. Experiencing and manipulating three variables of typography that is distance, scale and value through the context of family relationships. Check Link: Design Course on Design Analysis and Critics. 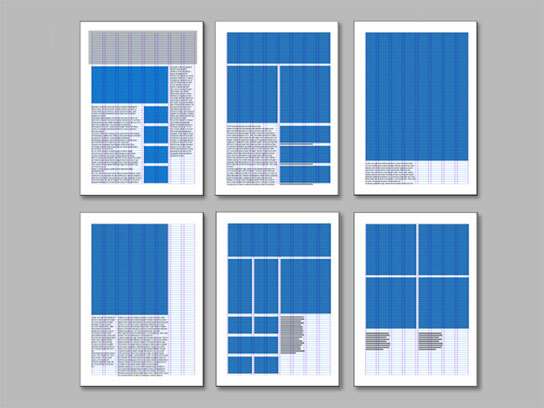 Keywords: Basic design theory, grids in graphic design, page layout, history of grids.